Last edited by 陳凱劭 on Fri Feb 27, 2009 11:59 am, edited 12 times in total. Last edited by 陳凱劭 on Fri May 08, 2009 1:16 am, edited 2 times in total. Last edited by 陳凱劭 on Sat Jul 24, 2010 3:05 pm, edited 6 times in total. Last edited by 陳凱劭 on Fri Feb 18, 2011 10:31 pm, edited 2 times in total. Last edited by 陳凱劭 on Fri Feb 13, 2009 10:50 pm, edited 1 time in total. 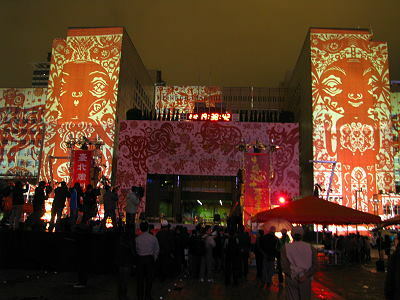 Stencil and graffiti artist Kea couldn’t have imagined that one day he’d be working on the walls of Taipei City Hall. Routinely nabbed for spraying less famous buildings around the capital, he sometimes found himself spending the night in detention at a police station. Beautify is exactly what Kea has done. 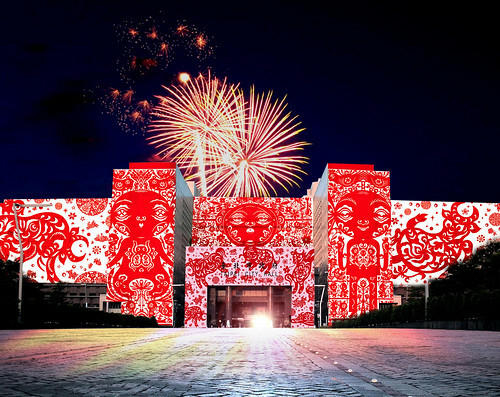 But rather than sneaking around in the dead of night graffitiing walls, Kea, along with seven other artists, was invited by the city to project his art on to the front of Taipei City Hall in celebration of this year’s Lantern Festival. 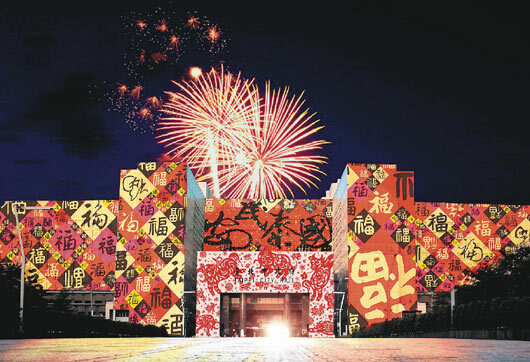 The building will undergo a makeover of sorts — though only daily from 7pm to 11pm from today until Feb. 15. 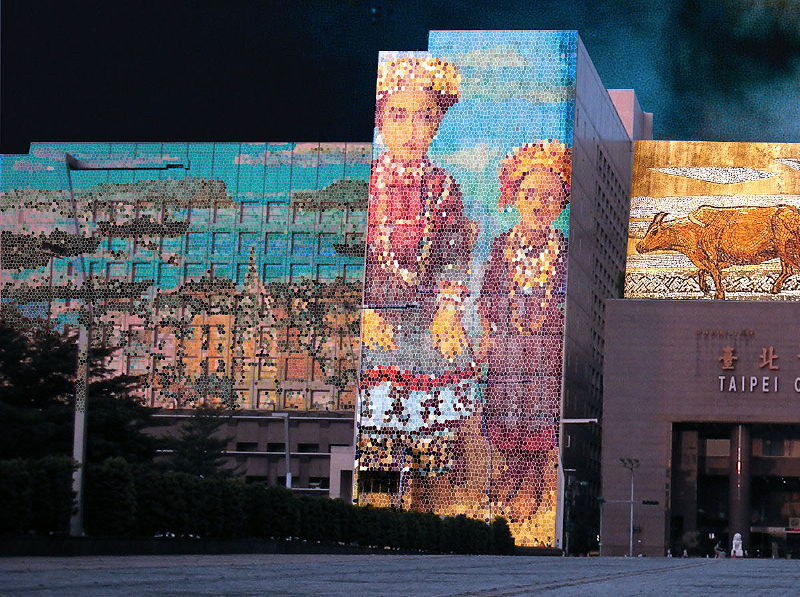 The other artists, who work in a broad range of styles such as calligraphy and Aboriginal art, are Dong Yang Zi (董陽孜), Wu Keng-chen (吳耿禎), Qui Ruo-long (邱若龍), Yan Shui-long (顏水龍), Wu Sheng (吳晟), Qui Xi-xun (邱錫勳) and Xiao Qing-yang (蕭青陽). 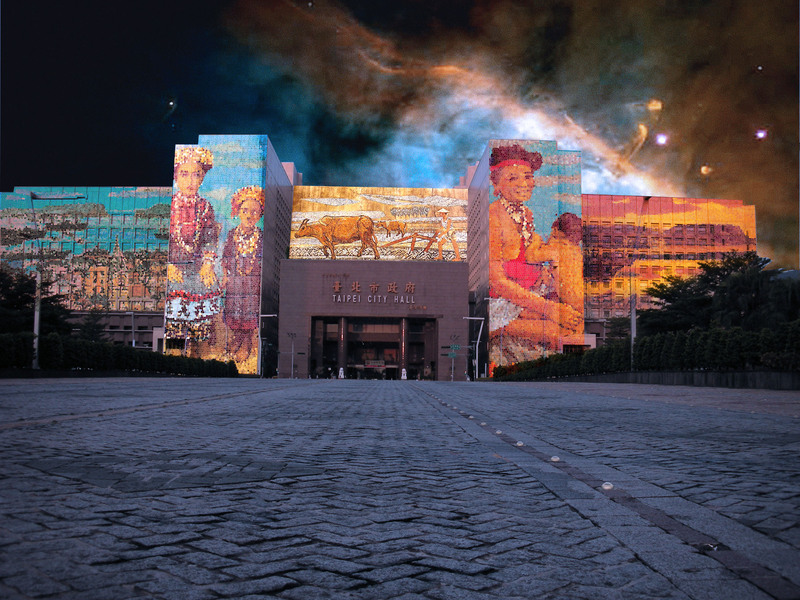 Huang is the Taiwan representative of Pani Projection and Lighting, the company that operates the 24 large-scale projectors that beam the artists’ images onto City Hall and which has done work for the Rolling Stones, Chemical Brothers and U2. 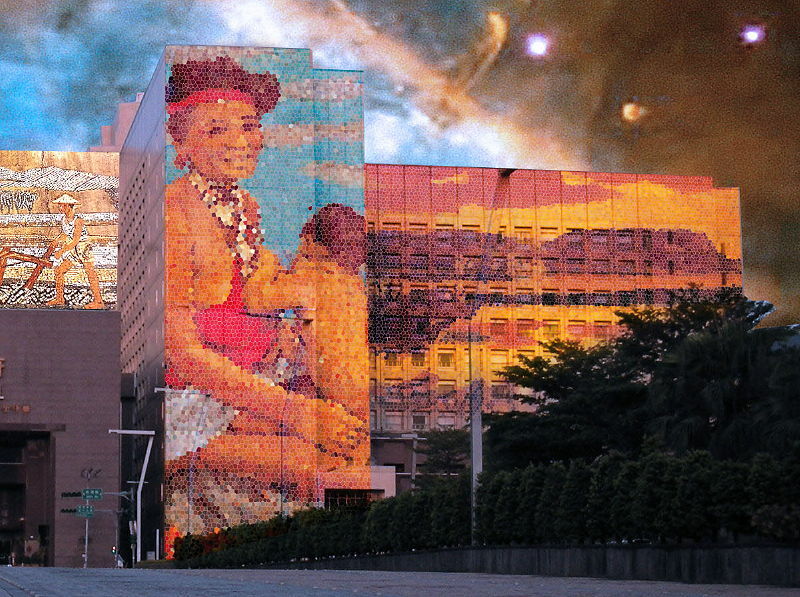 He said the artists were chosen for their diverse ages and skills in their respective fields. 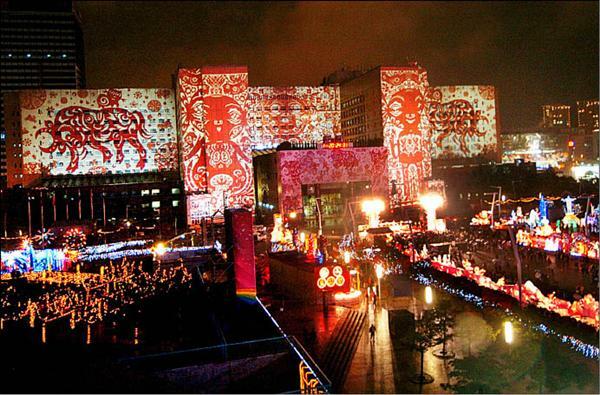 The projections complement the other more traditional festivities that feature various small and large-scale lanterns designed in the shape of the ox. Lantern Festival celebrations in Taipei will also be held in the Xinyi (信義) business district, including at Sun Yat-sen Memorial Hall and several parks and plazas in the area. 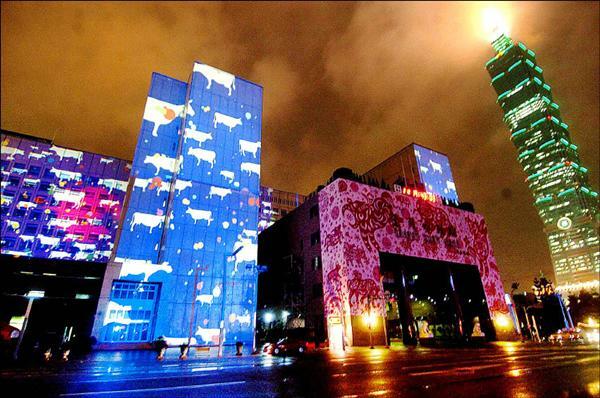 The Taiwan Lantern festival began in 1990 when the Tourism Bureau instituted an annual national show to coincide with the traditional custom of carrying lanterns on the 15th day of the first lunar month of the New Year. 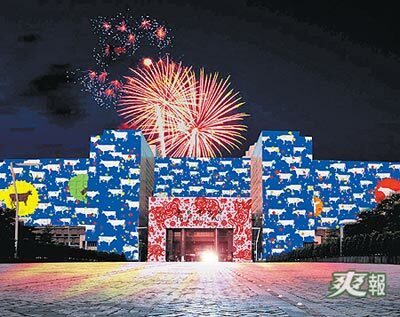 Ilan County was chosen to host this year’s festival, the centerpiece of which is an 18.3m-tall display of a water buffalo tilling a verdant rice paddy, an image that symbolizes prosperity. 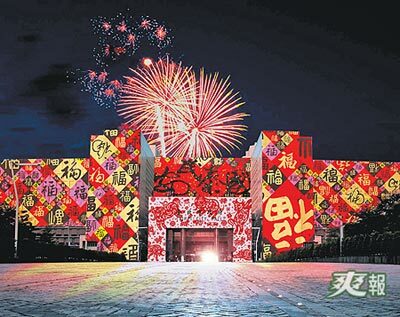 The opening ceremony begins at the Yilan Sports Park (宜蘭運動公園) on Monday with a fireworks display and runs until Feb. 22. 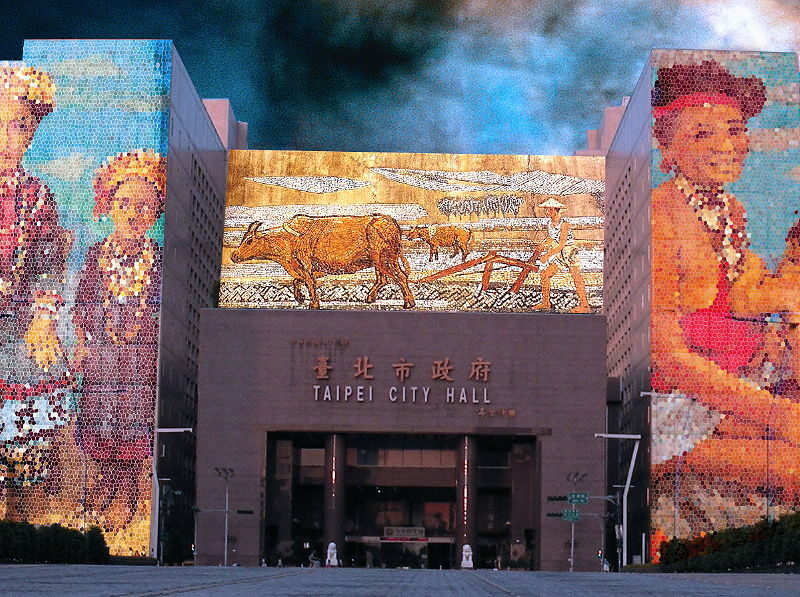 Taipei City Hall’s caretaker can rest easy as the building will not be plastered with the work of eight graffiti artists as was suggested in yesterday’s edition. The ‘Taipei Times’ regrets the error. Last edited by 陳凱劭 on Mon Feb 09, 2009 10:28 pm, edited 1 time in total.